Or a dead pig, as the case may be, but I went to the supermarket today to do a little research. In case you can’t read the Greensboro ingredients, here’s an abbreviated list: Pork fat, Pork livers (look at me. 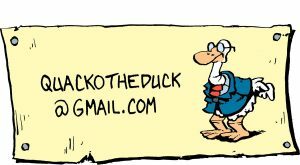 I’m typing capital “P”s when I type “pork”. Guess why.) Beef trim (What the heck is beef trim?) and pork skins. Rapa has pork livers, pork fat, pork skin and pork hearts. 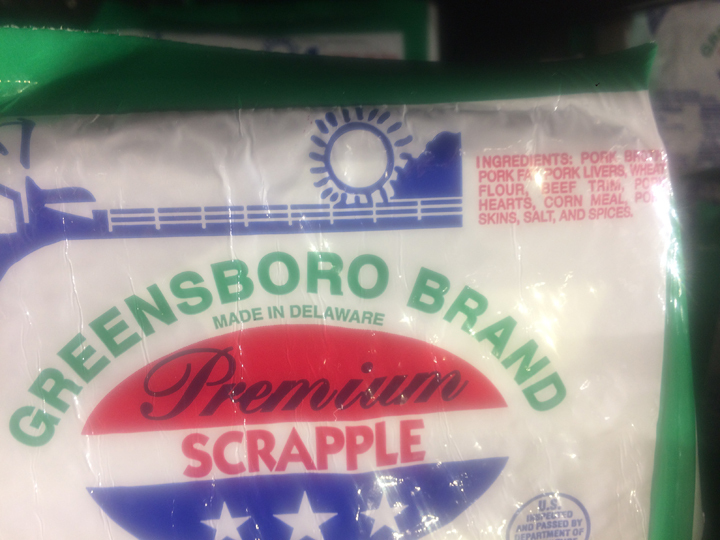 If you go back to yesterday’s post you’ll notice that Kirby Holloway scrapple has the same fine ingredients (except the beef trim) that the other brands do. Except the Kirby Holloway has ADDED SUGAR! When you have delicious, excellent ingredients that most other scapple has, why do you have to screw it up by ADDING SUGAR?! I’ll tell you what, you know how narrow toilet paper drives me nuts – this is burns me up just as much. I guess you’re wondering about my culinary review of the Kirby Holloway. And eat it in a sandwich. 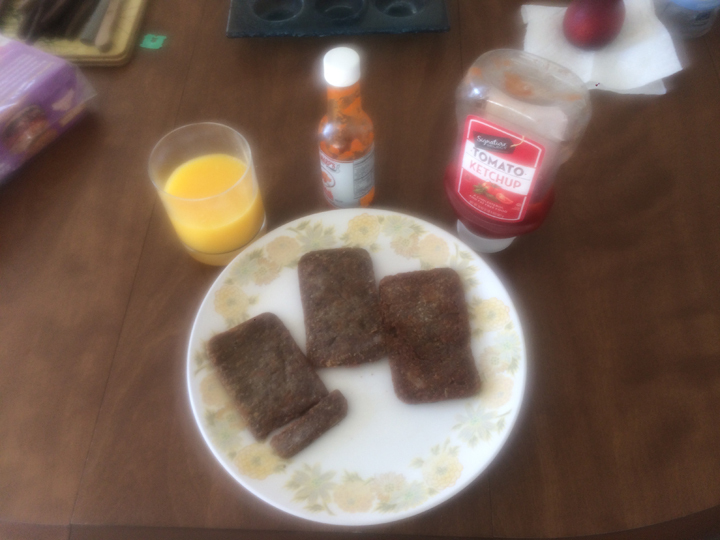 My epicurean review: Good (all scrapple is good), but a little mushy and I hate sugar in my food. Just guessing, but I’d say beef trim is what they sweep off the floor of the abattoir before hosing it out….. I am guessing this is not something we will find on the McDonalds menu soon. 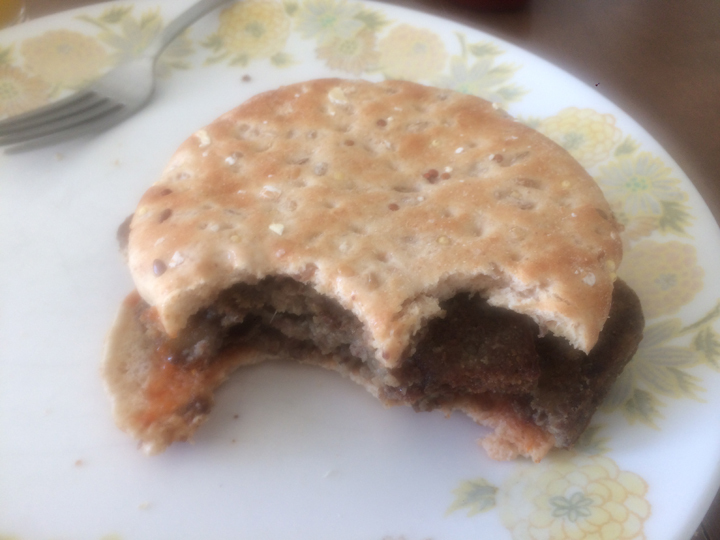 The McScrapple or the Scrapple McMuffin? I wonder if they have a McHaggis in Scotland? I know they have haggis flavour potato chips there. I bought some. I like plain. The hash browns is really a type of potato pancake. I often wondered why they don’t have a corned beef hash version. You can tell I’m not in the food industry. 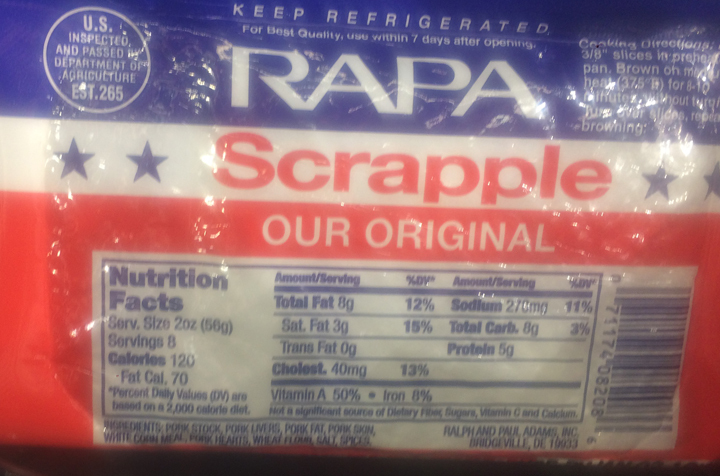 Like you, I love all types of Scrapple. I always thought that the ingredients were the pig/beef parts too disgusting to put into sausage or hot dogs. Still, it tastes great when cooked crispy on the outside and soft and hot on the inside. Sometime I will crumble it up, cook it, and place inside omelets.